Learn how to make a valentine pop up card to specific your love on February 14th this yr! This tutorial by Artsy Fartsy will show you the art of creating I Love You pop up card. So, as soon as your loved one will open this Valentine Day's card, he or she can see your message pop up within the center of the card. 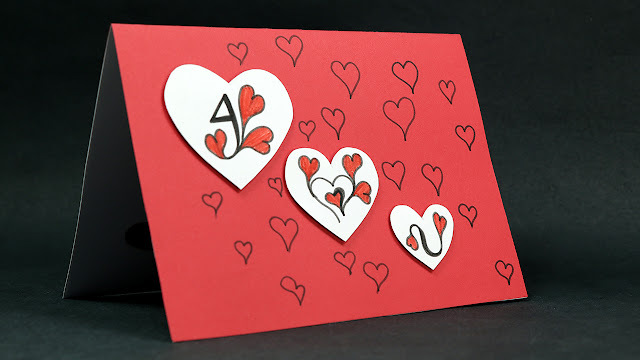 This handmade love card is very easy to make as you just need to follow the stepwise directions shown in this tutorial to make such Valentine pop up cards quickly. Even if you have not made any handmade greeting card before, you could without problems turn out to be an expert in pop up cards. If you want another idea for greeting card,you can also check out this DIY Happy Valentine's Day cards on Artsy Fartsy.! I really appreciate your help with your tutorial.. I found some Valentine pop-up card on http://popupcard.net. This is the biggest pop-up cards supplier in Viet Nam.